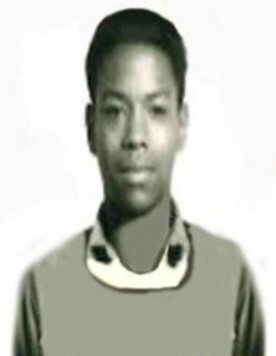 "Specialist 4th Class Robert Lee was a member of Headquarters and Headquarters Battery, 1st Battalion, 83rd Field Artillery, 108th Artillery Group, XXIV Corps, RVN, from July 26, 1970 to March 31, 1971 and was a cook in the combined Headquarters and Service Batteries’ mess hall at Gia Le Combat Base. Probably not many people knew SP4 Lee outside of the cooks and First Sergeant. He was a quiet person, keeping mainly to himself and out of trouble. The food in the mess hall was generally outstanding and as part of the mess crew, Specialist Lee did his part. At the time of his accident, he was the early morning cook, getting up way earlier than those who had day shift duties, preparing the mess equipment for the day’s cooking and starting breakfast for those who would arrive early in the morning in search of a cup of coffee and something to eat. As such, he worked alone during those early morning hours. Nobody will ever know exactly what happened that morning, sometime around 24 or 25 March 1971, but we do know that there was a problem with one of the field ranges that Robert Lee was fueling that morning. At some point, the cap blew off the range’s fuel tank and ball of fire exploded around the equipment. SP4 Lee was engulfed by the flames, which caught the kitchen of the mess hall on fire. Specialist Lee suffered burns over the front part of his body and in his lungs and windpipe. Our medics rushed him to the 85th Evacuation Hospital in Phu Bai. A very short time later, he was transferred to a hospital in Japan where on March 31, 1971; he died of the burns he received. A memorial service was held for Specialist Lee shortly after we received notification of his death. The traditional boots, rifle, and helmet were set up on the stoop in front of the S4 building, appropriate honors were rendered, and words of remembrance were said. It is with great sadness that I recall these events now, 40 years, and just a few days afterwards. I was his Battery Commander. It is tough to lose a soldier. Whenever a link to “The Wall” comes in an email or on a website, I always look up Specialist Lee’s name. I do not know who else looks in on him, but I do." "I remember the day that you made the ultimate sacrifice. We did not know that day we would be deprived of your friendship. Thank you for your service and friendship. You are remembered."